Once we open the three stick bundle, we can see that the curtains match the drapes …err heatsink matches the PCB. 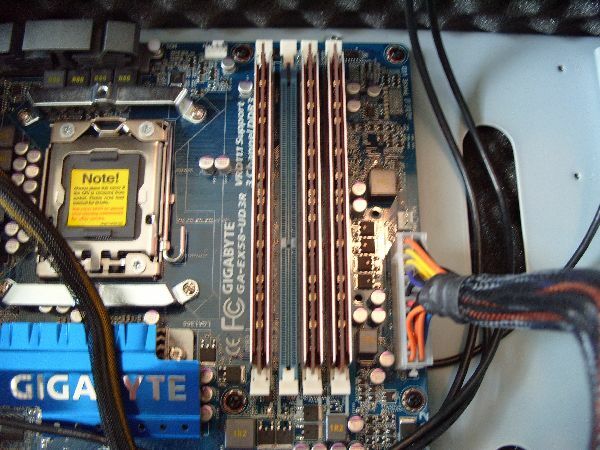 This 6GB kit is geared for Intel’s high end i7 line of processors. The reason for three sticks in a package is the i7’s triple channel memory controller, which allows it more memory bandwidth than other processors on the market which only have 2 memory channels. More throughput means things get done faster. Some may wonder if they really need 6GB of RAM. They answer for most people is no. More RAM means that you’ll be able to multitask more efficiently, but for grandma that only checks email and looks at the occasional webpage, 6GB is extreme overkill. 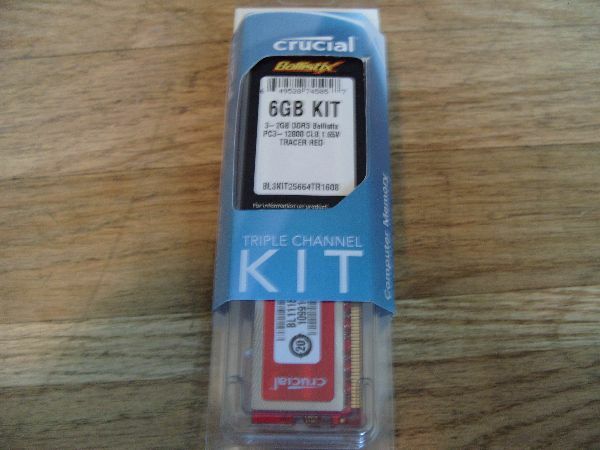 The catch is triple channel kits only come in packs of three and the next step down is 3GB, which is not enough RAM for a modern day system. 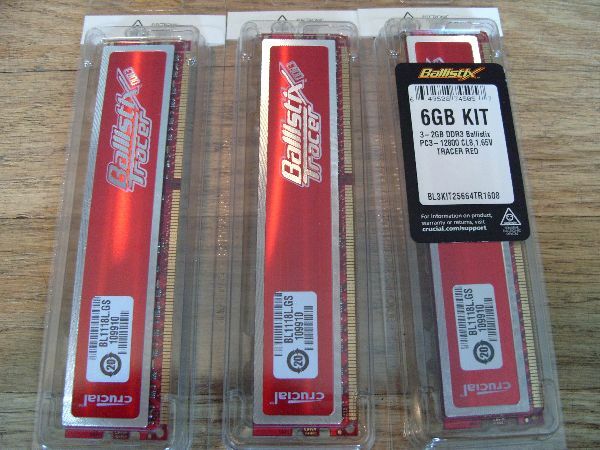 Luckily Crucial’s demographic for the Ballistix Tracer series is the enthusiast/gamer market, which will definitely see an improvement with 6GB. Crucial has one more trick to help them differentiate from the rest of the triple channel kits out there ……FLASHY LEDS!!! Yes, some nerd bling at its finest. 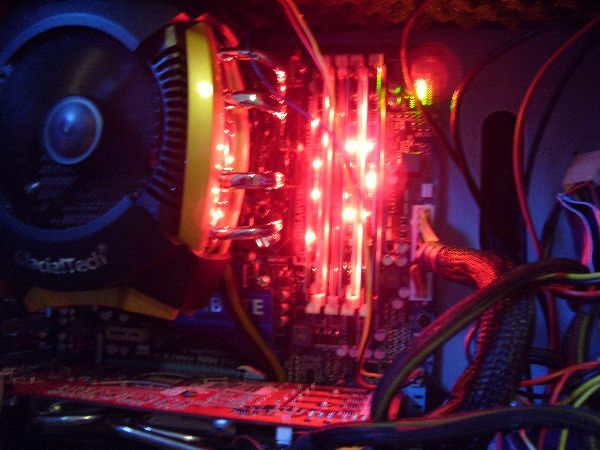 The LED’s flash in time with RAM activity, which is pretty cool. This is sure to shout out “hey, pay attention to me, my computer is waaaay cooler than yours,” at your next LAN party. The only downside is that there is no way to turn it off, which means it may get annoying if your computer’s window is easily viewable from where you sit normally. Maybe with version 2 they can install a small button to turn off the LED’s or have an accessory that lets you daisy chain the LEDs on all the modules to a single switch.